What a fabulous time I had at convention. Not only did I have 14 of my Downline with me but saw many of my friends from all over the country. That's just one of the perks of being a Stampin' Up! Demonstrator. I was honored again with earning Founders Circle, which means being in the top 100 Demonstrators. So I will be going on a trip to Lake George, Utah in September to meet with the top 100 and Shelli Gardner the owner. While on this trip we are completely and utterly spoiled. 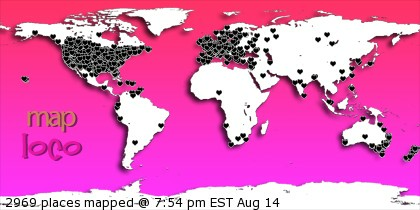 Love that!!!! Here is a picture of me with the fabulous Founders Circle Bag!!!! Yeah!!! You know if you ever thought about doing what I do...please let me know. 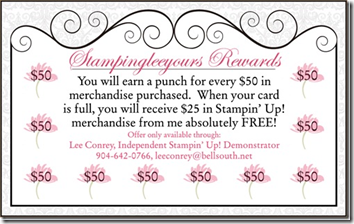 I'd be thrilled to have you in my Stampin' Up! Family!!! So you get to select one of these for FREE with your Starter Kit! how cool is that? Just visit my website at http://www.stampingleeyours.stampinup.net and hit the join now tab. You won't regret it. Congratulations on your awards, Lee! Great seeing you walk the stage each time!